And he came to Nazareth, where he had been brought up. And as was his custom, he went to the synagogue on the Sabbath day, and he stood up to read. And the scroll of the prophet Isaiah was given to him. He unrolled the scroll and found the place where it was written, “The Spirit of the Lord is upon me, because he has anointed me to proclaim good news to the poor. He has sent me to proclaim liberty to the captives and recovering of sight to the blind, to set at liberty those who are oppressed, to proclaim the year of the Lord’s favor.”20 And he rolled up the scroll and gave it back to the attendant and sat down. Today, I do not have any deep thoughts about this passage, but I do have one simple question: How and where did Jesus learn to read? Universal public education is a relatively new thing in human history. It is certain that the Roman authorities who ruled the Jews at the time did not provide education for them. So, how did Jesus learn to read? Well, he learned in the synagogue from the Rabbi, or perhaps some in his family from his parents. Teaching children to read was part of the Jewish tradition. Before the advent of government-funded universal education, is also became part of the program of the church. Sunday School started out as a school (reading, writing, ‘rithmatic’) which happened on Sunday before church. It became what it is today when universal schooling took away its original purpose. As Christianity has grown rapidly in Africa and other places, it is encountering again some of the issues it faced in the not so distant past in Europe. Many churches today are in places where most people do not know how to read and write. Think about that. What would it be like to be in a church where most people do not know how to read? What challenges would that present for Bible study? 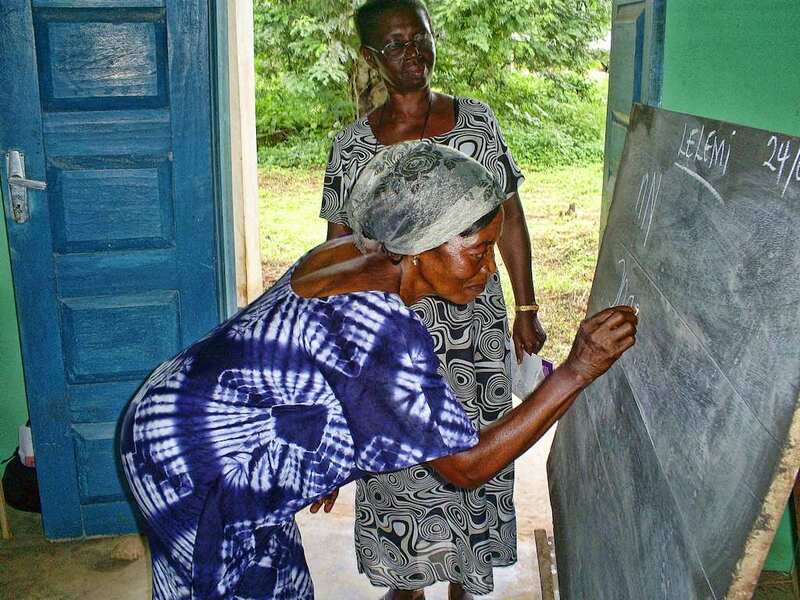 Here in Ghana, the organization I work with (GILLBT) is addressing this issue with a program called Literacy for Life. This program, run by Nelson Jatuat, offers churches help (training, primers, etc.) setting up church-based adult literacy for their members. People learn to read their heart language. Each lesson includes both teaching to read and write as well as a Bible lesson. It is offered in 18 of the more than 60 languages in Ghana. This year, 900 local churches are participating in the program and over 15,000 church members are learning to read. 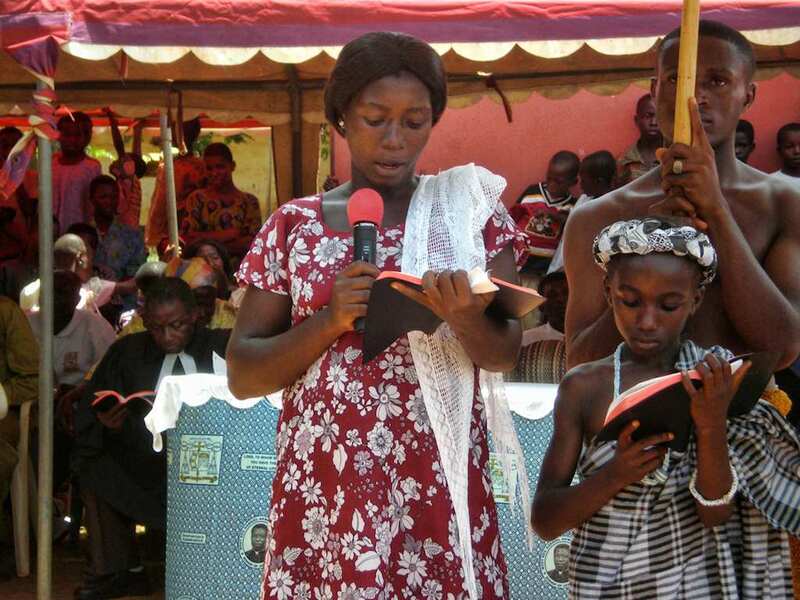 Every year, different churches take part and a similar number of Ghanaian Christians are enrolled. 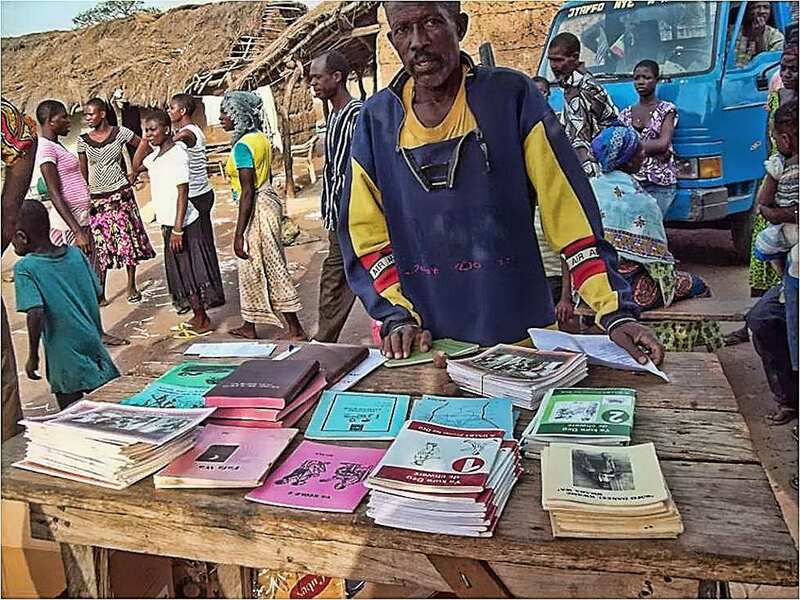 The program is run on a shoestring – churches offer the locale, chalk, and blackboard free of charge, teachers are volunteers with no pay (although they may receive something small as a recognition for their services), and learners of their churches buy the books. Using these methods, churches and GILLBT can work together to teach an adult to read fluently in his or her language for well under $100. Now that is a bargain. 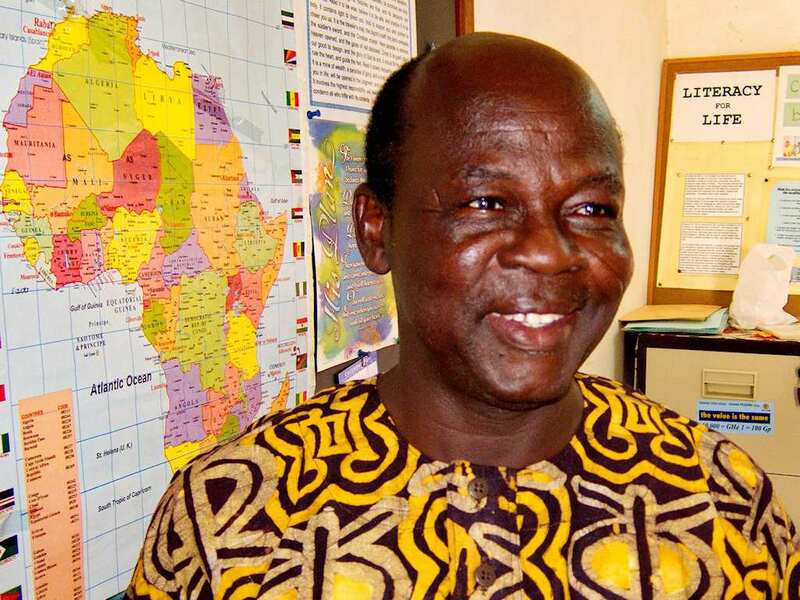 The program is run by Nelson Jatuat who travels to various parts of the country to train teachers and help churches with evaluation at the end of the teaching cycle. Not only do the participants learn to read the Bible in their own languages, they also gain a life-skill that they can use in all kinds of ways. They can keep records, correspond with family, sign their name on official documents, teach a Sunday School class, be the secretary for a local women’s group, take part in a Bible study, or teach a literacy class themselves all things which they could not do before knowing how to read and write. This program has a disproportionately favorable impact on women – the reverse of the unfortunate tendency of development programs to favor men. 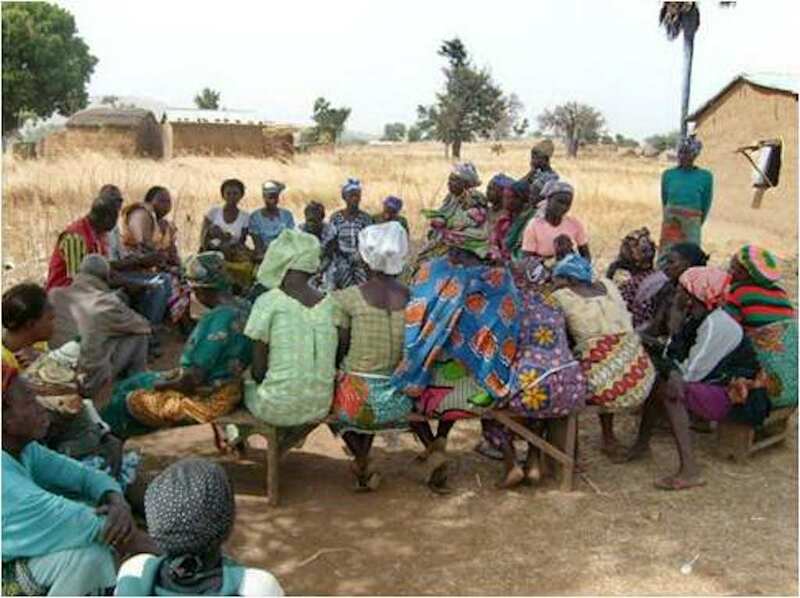 Where else but in adult literacy in minority languages can a person simultaneously proclaim the Gospel, make disciples, enable others to make disciples, carry out a practical economic development activity and elevate the status of women all at the same time? And where else can one do all that but among some of the most marginalized and neglected people on earth? Anyone out there want to get involved in that? Contribute to it? Come and do it? Pray for Nelson? If we could ask them, what do you think they would say – the people who taught Jesus to read? 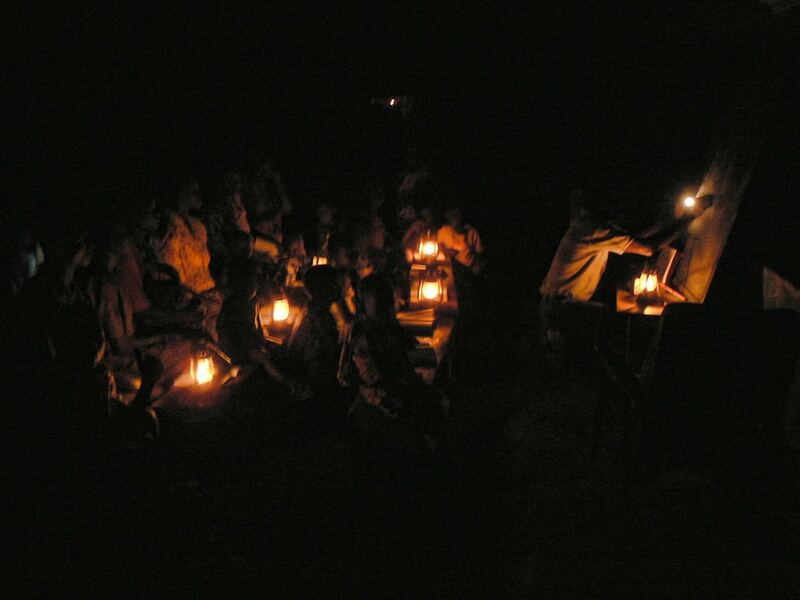 And the Christians learning to read through GILLBT’s Literacy for Life program? What do you think they will say in heaven about those who taught them, subsidized their books, sponsored those who developed primers in their languages? And when they say it, do you think that Jesus might remember his own experience learning to read and be impressed? This entry was posted in Bible, Bible translation, Christianity, Faith now, Ghana, Heart language, Literacy, Religion and tagged adult literacy, Bible reading, church literacy, gender equality, gender promotion, Ghana, illiterate, Jesus reads, learning to read, literacy, Literacy for life, literacy rate, reading, Sunday school. Bookmark the permalink. Interesting that these verses were part of my Bible reading for the day and I wondered the same thing… where and when did Jesus learn to read! What a blessing to see nationals in charge of the literacy and to see so many involved. Ed, keep up the good work of educating us on the need of Bible translation and literacy training. Excellent issues altogether, you simply won a brand new reader. What may you suggest about your put up that you made some days ago? Any positive?